The Woodbridge Homebrewers Ale and Lager Enthusiast Society (WHALES) is an established and growing club out of Central New Jersey. Don’t let the beer-centric name fool you though, the club is also equally involved in the production of mead, ciders and wines. Since its founding 13 years ago, WHALES has grown to a membership level of 60 homebrewers and beer enthusiasts of all levels including two BJCP certified judges. The club promotes an ongoing education of various brewing techniques through brewer presentations (both peer members and professional brewers alike). Members are also encouraged to develop their palettes through regular tastings of homebrewed and commercial examples of all the BJCP recognized styles. 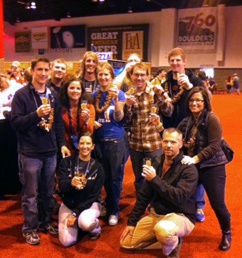 Many of the members regularly achieve at least bronze medals in brewing competitions and a WHALES cider project even took a gold medal at the 2009 National Homebrew Competition (NHC). Furthermore, the club has recently acquired its first club-owned 50-gallon brew system. 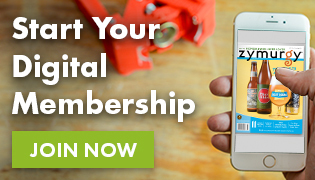 While most of the activities are geared towards promoting and growing the homebrewing hobby, the club remains a great social network for folks who share at least one passion: taking a hands-on approach to the beverages we all love. JJ Bittings brewpub (Main Street) in Woodbridge, NJ has been the WHALES home base and meeting location for about 10 years. Regular club meetings occur the third Tuesday night of every month at 8 p.m. The club also meets for club projects at various members’ homes and has been known to move a meeting or two to a surrounding brewpub for a temporary change of scenery and an excuse to drink more beer. 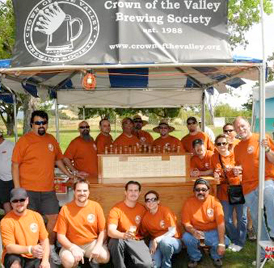 The WHALES club activities range from numerous homebrew competitions with other local clubs to group tastings. One of the group’s regular activities is brewing on a large scale for barrel projects, including Flanders Red, Lambics, Imperial Porters and Stouts in Bourbon barrels, as well as Ciders and Meads in Apple Brandy Barrels. Most recently WHALES won the 2010 Big Brew Video contest hosted by the AHA for the most viewed video on Youtube. Check out the video from National Homebrew Day. To learn more about the WHALES you can check out their website www.whalesbrewclub.com/joomla/ or join the Friends of the WHALES mailing list here.